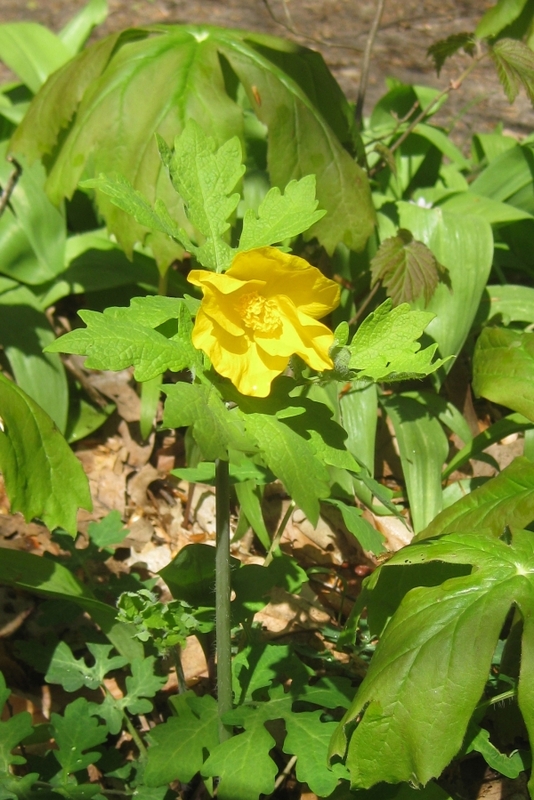 Also called Wood Poppy. Yellow juice. Flower 1 1/2 - 2 in. wide. Leaves deeply lobed. Height: 12 to 18 in..